We recently enjoyed the most beautiful Northumberland staycation at a luxury cottage on St Oswald's Farm and when we were looking at what there was to do in the local area we were very happy to discover that we were only a few miles away from Hexham, somewhere we'd been meaning to visit for a long time. 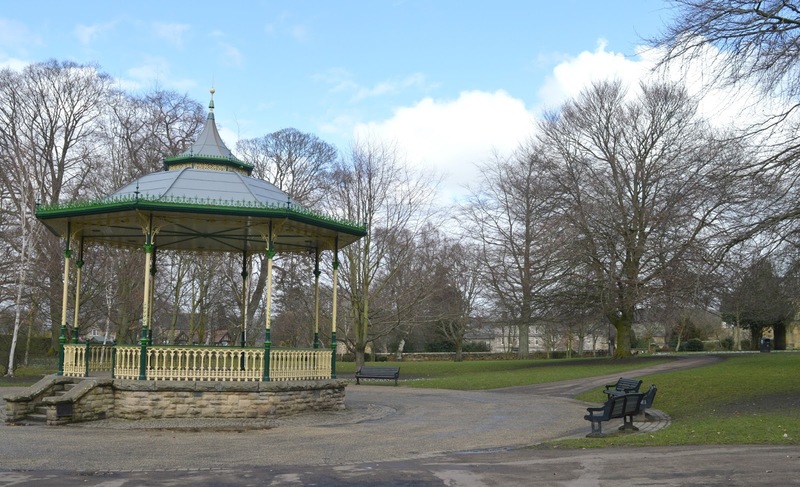 So, with a little help from Visit Hexham, we planned ourselves a day trip to Hexham. Confessions over first, I will admit that whenever we've been in the area we've always ignored Hexham and headed straight to the neighbouring town of Corbridge so we were keen to discover what Hexham had to offer for a day of adventuring in Northumberland. 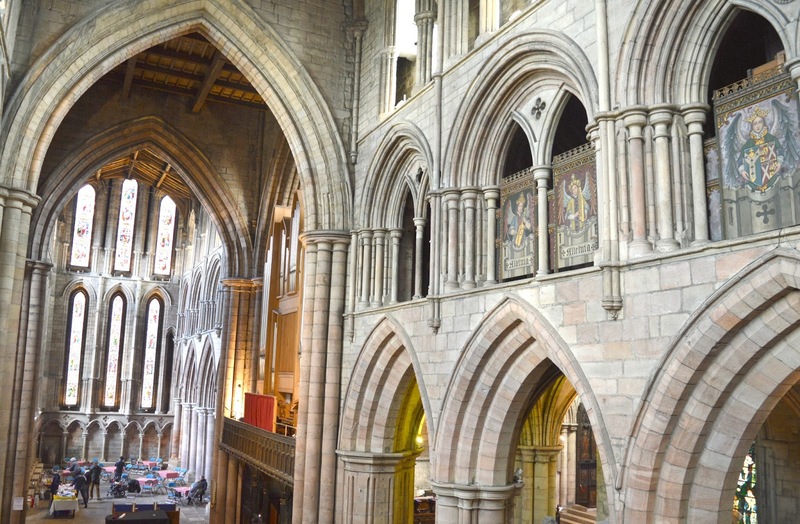 Our day began at the breathtaking Hexham Abbey, the real heart of the town, it towers over the rest of the buildings. Completed in AD678 it always amazes me how such huge magnificent buildings were built without all of the equipment that we have today (as we joked on our way round, the structure is a lot more solid than our new build house). 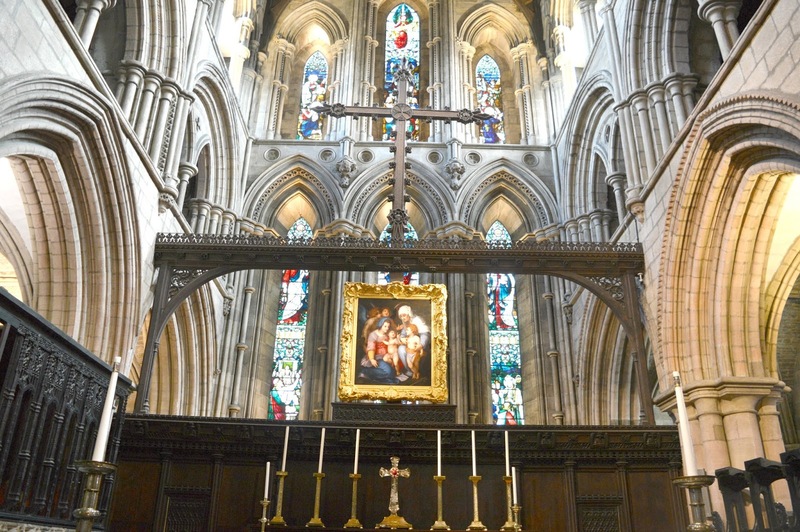 The Abbey is free to visit and well looked after with plenty of people dotted around to give you some interesting facts about the building and to help you get the most out of your visit. We were particularly taken with the colourful stained glass windows and were surprised to learn that the most recent stained glass displays are only 6 years old! The Big Story was the highlight of our visit, an interactive look at the history of the Abbey, it really brought history to life with a good variety of interactive displays and dressing up costumes. Although I'm sure a lot of it is aimed at children I'll admit that I really enjoyed pushing buttons and playing some of the games. Although there are a lot of amazing looking coffee shops in Hexham we decided to stay in the Abbey for our cake break. 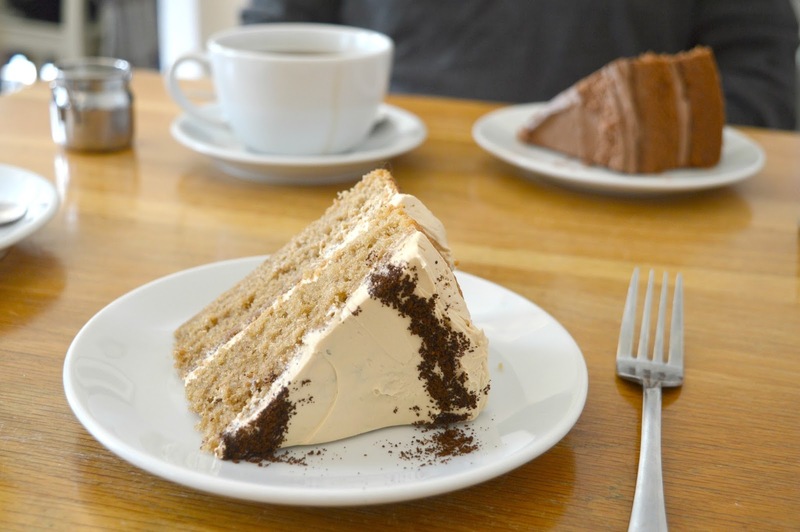 The Refectory Cafe serves up freshly baked cake and as soon as I spotted that they had coffee cake (my favourite) I knew I needed to order a slice. Simon was equally thrilled to discover that they also had chocolate orange cake (his favourite) on the counter, they must have known that we were coming! We were surprised at how large the cafe in Hexham Abbey was and it was a very welcoming warm shelter from the arctic temperatures outside. We were very thankful to be able to feel our fingers and toes again! Hexham is a fantastic place to enjoy a little street potter and I recommend not burying your nose in Google maps and instead get yourself lost down the beautiful little roads to see what you can discover. There are some real treasures - who knew that this art gallery has a secret vault underneath where you can enjoy live music and drinks! There are a lot of independent gift shops, delicious looking restaurants and tea rooms, plenty of antique and art shops to mooch around and even on a very dull and Wintery day the sandstone coloured buildings looked really beautiful. We made a quick visit to The Forum, Hexham's independent one screen cinema that shows the latest blockbusters as well as much loved favourites. Unfortunately there was nothing on when we visited but I've made a note to return to watch a movie, the screen looks beautiful! 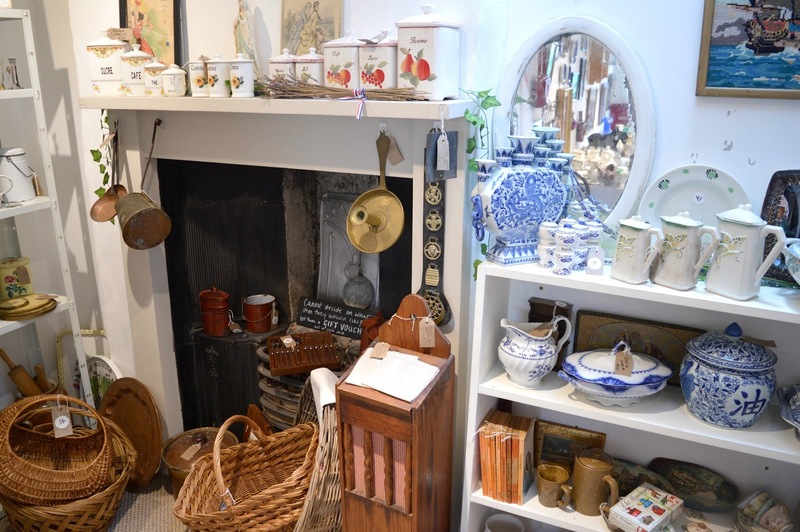 My favourite discovery in Hexham was The Vintage Emporium, a Georgian building complete with hidden rooms, old wooden floorboards and tilting rooms filled with the most amazing vintage furniture, kitchenware and clothes. It was an absolute treasure trove and I loved discovering more and more every time I stumbled across a different room. I was gutted that we'd already eaten as Bea's Teas, a vintage tearoom set in the 1940s, is hidden away in the heart of the shop and it looked amazing! Despite the freezing temperatures we managed a quick stroll around the park which offered some great views of Hexham Abbey and a pretty impressive display of Spring time blooms. I spent a lot of our walk saying "imagine how amazing this must be in the Summer"; and we definitely want to return in the warmer months to picnic on the grass and indulge in some people watching. 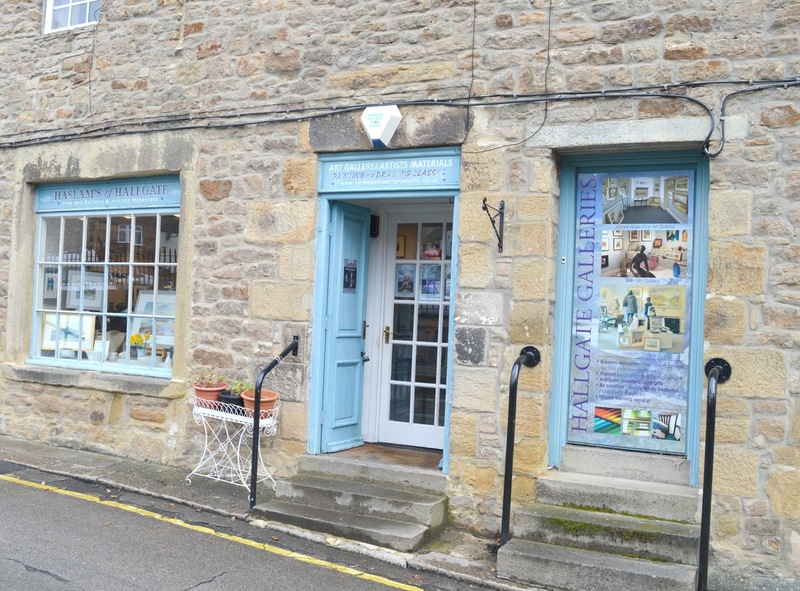 So we discovered that yes, there really is plenty to do in Hexham! We could easily spend an entire day (and evening!) there enjoying the culture, history, food, shopping and green spaces of the beautiful little market town. We loved our first ever day trip to Hexham and definitely wont be overlooking the beautiful town again in future. 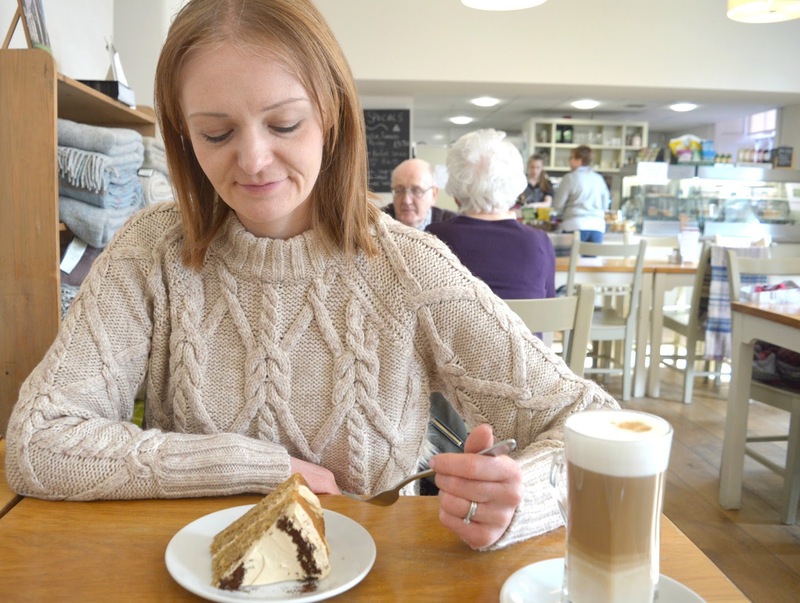 We can't wait to return soon and get a few more tea rooms ticked off our list and hopefully catch a movie! 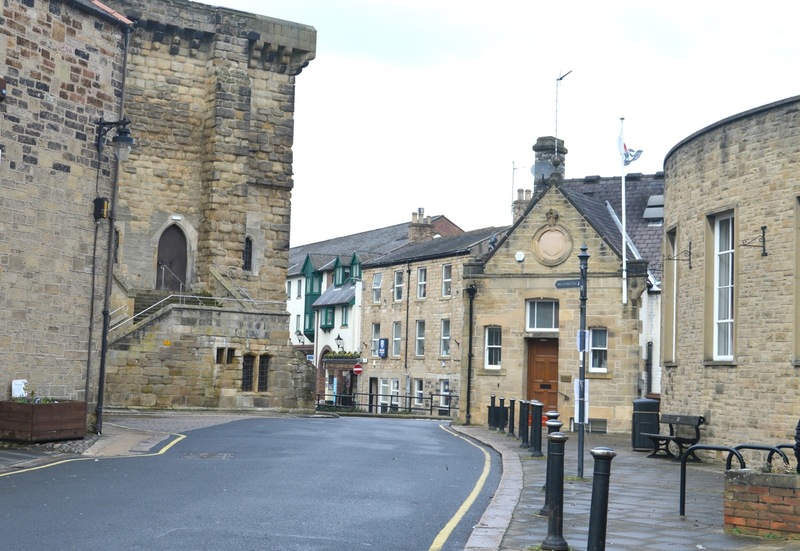 Let me know your favourite town or village in Northumberland! We need to know where to head next! If you fancy planning your own trip to Northumberland make sure you check out our review of the beautiful Heavenfield Cottage at St Oswald's Farm ! It's such a nice place for a potter around isn't it? glad you got your cake fix! We ALWAYS manage to get in our cake fix! 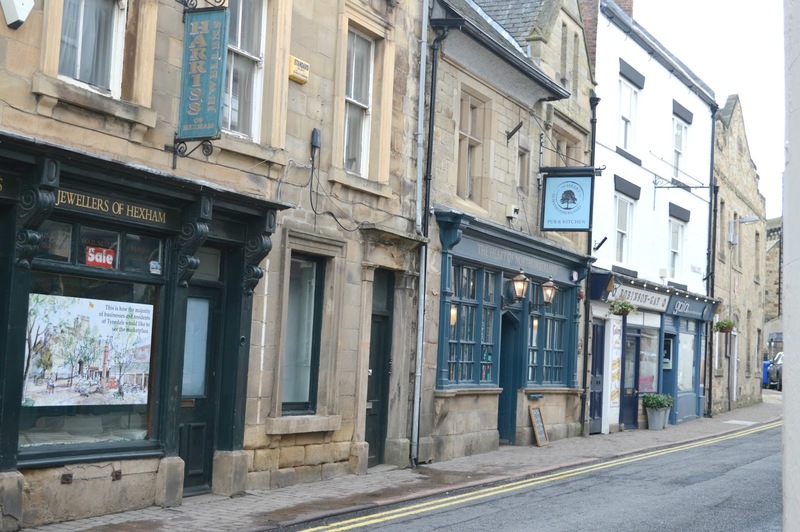 Hexham really is a gem isn't it - you can get the train direct from town in less than 30 minutes too so handy if Simon fancies a pint with his lunch (or a bottle of wine at Bouchon Bistrot). Don't tell him that, I like when he drives me about! We can't wait to come back ... we have a lot more tea rooms to get round! Nothing beats stumbling across somewhere amazing that you didn't expect to be amazing! Hexham definitely looks like my cup of tea, what a sweet place! It's cute! I really really want to go back in the Summer!